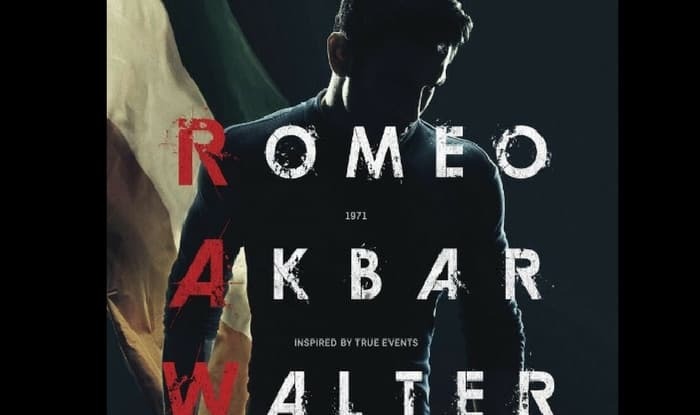 Opening to a three-point-five stars rating from majority of movie reviewers, John Abraham and Mouni Roy‘s effective espionage thriller, Romeo Akbar Walter (RAW), is winning hearts of moviegoers so far as the reviews on the micro-blogging site Twitter, look fairly positive. Touted to be a patriotic movie, the Robbie Grewal directorial also stars actor Jackie Shroff. After the first show screened this morning, the Twitterati are flooding the Internet with their review of the movie. Smitten and surprised by the classic performance of its leading cast, the fans poured out their praises for the movie. While one user tweeted, “#Raw #RomeoAkbarWalter review : 3.5 stars A intriguing spy thriller powered with the classic performance of its leading cast @TheJohnAbraham @sikandarkher and @bindasbhidu . This movie is dedicated to the all those unsung hero’s who sacrificed their everything for the nation” (sic), another wrote, “Movie Review :- #RAW – #RomeoAkbarWalter @TheJohnAbraham and #MouniRoy’s Spy Drama Is a Stirring Saga of Effective Thrills and Surprises. @TheJohnAbraham is Heart of the movie. Rate – (4/5) S-P-E-C-T-A-C-U-L-A-R” (sic). #Raw #RomeoAkbarWalter review : ⭐⭐⭐1/2…. A intriguing spy thriller powered with the classic performance of its leading cast @TheJohnAbraham @sikandarkher and @bindasbhidu . #RomeoAkbarWalter One Word Review… SUPERIOR@TheJohnAbraham carrer best performance while @bindasbhidu, @Roymouni and @sikandarkher did very well job. Movie Review :- #RAW – #RomeoAkbarWalter @TheJohnAbraham and #MouniRoy’s Spy Drama Is a Stirring Saga of Effective Thrills and Surprises. @TheJohnAbraham is Heart of the movie.